Despite some miserable weather, rain and severe lightening, we managed to survive. 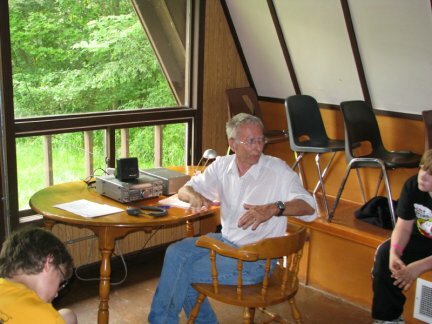 We held our second annual Amateur Radio event at Scouts Camp, Mount Nemo just north of Burlington. 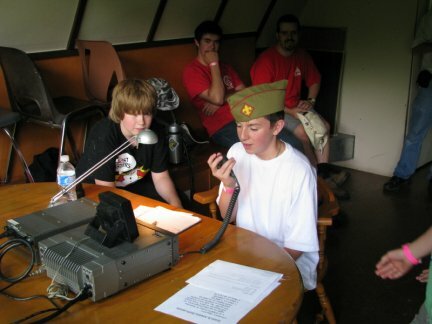 Out of about 200 coed Scouts & Guides roughly 50 kids joined us at the “Ham Shack”. 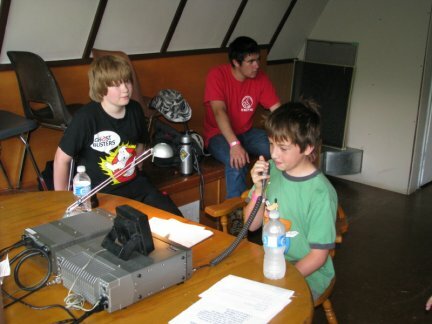 Many of the kids talked to various stations but a couple of the stations we had planned on were not contacted due to lightning interference. 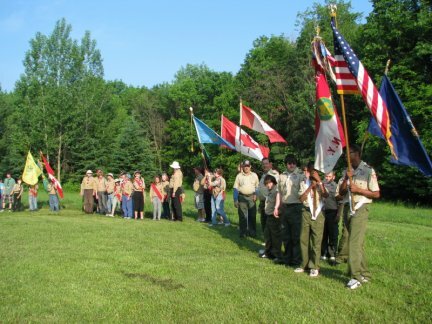 A gathering of the scouts and their banners/flags. Jerry VE3JCJ at the operations centre. 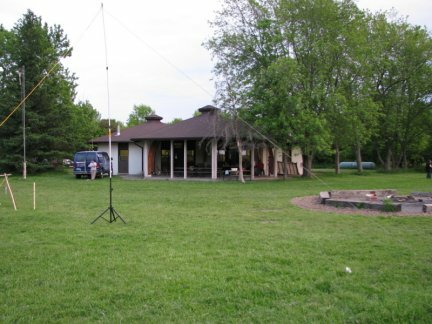 Kenwood TS 440 connected to the dipole outside the chalet. 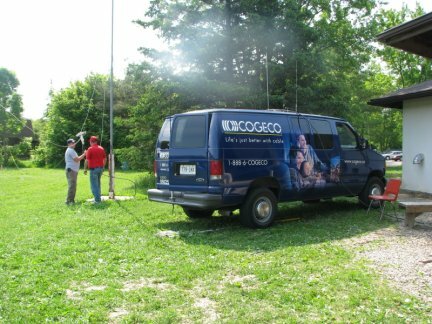 Scouting plus Ham Radio in action...a whole new experience. Another young scout giving it a go!